GMB Sandwell AGM took place on Friday 17th June 2016. Well done to all winners. Notifications have been sent via post. 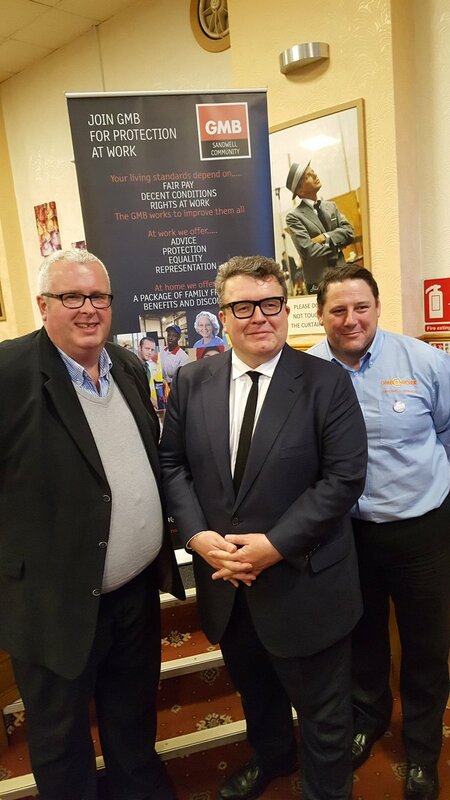 After the suspension of campaigning for the EU referendum following the murder of Jo Cox MP, We were honoured that Tom Watson MP could join us for a short while on Friday. Condolences on behalf of the whole branch were passed to Tom, and a minutes silence was held in Jo’s memory.